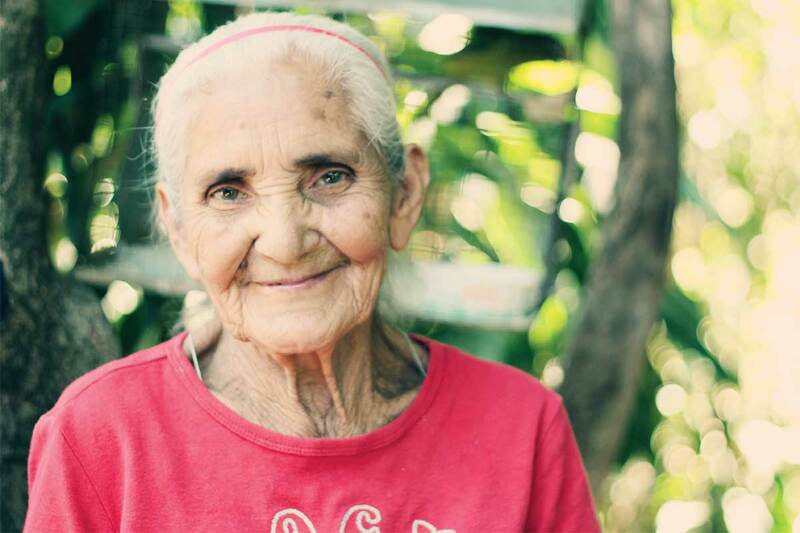 Since December 2017, Unbound’s international programs staff in Kansas City has been working closely with local staff at program sites throughout the world to develop an elder survey tool. As of this writing, data is being collected at 25 program sites in 14 countries throughout Latin America, Africa and Asia. The results will be analyzed at Unbound’s headquarters in Kansas City throughout the summer, with the goal of publishing them in the fall of this year. The survey covers a broad range of concerns of elders in the developing world with a particular focus on the impact of loneliness and isolation on their health and well-being, according –to Unbound Evaluation Specialist Nimisha Poudyal. 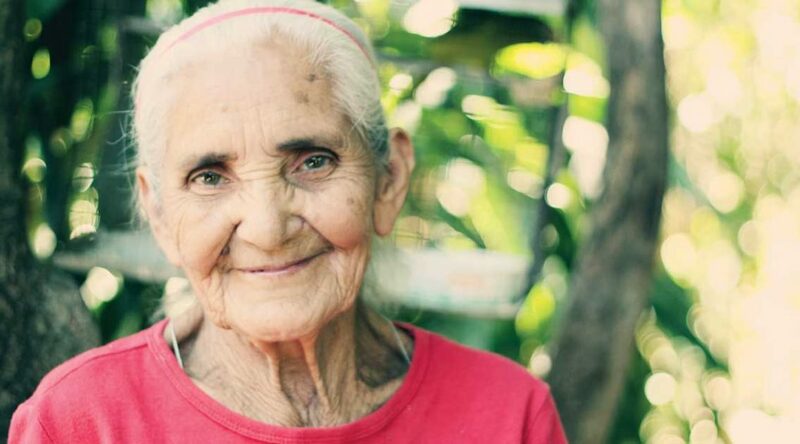 “We know elders we work with around the world struggle with isolation,” she said. “They struggle with abandonment by family members, deaths of spouses, this feeling of loneliness. We also know they struggle with accessing the health services they need, as well as nutrition. Dr. Linda Redford, director of the Geriatric Education Center at the Landon Center on Aging of the University of Kansas Medical Center, said the struggle with loneliness is not just a problem in the developing world, but a challenge in the U.S. as well, and not just for elders. But she also observed that seniors often possess a key asset for dealing with it. 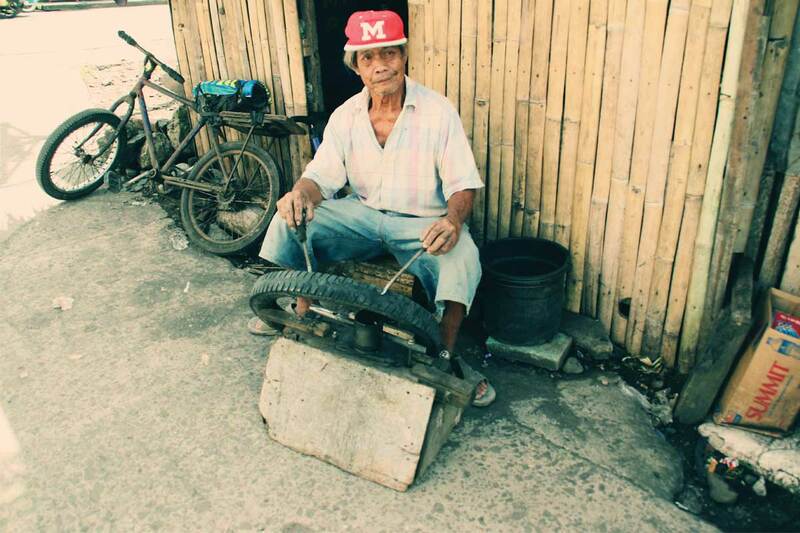 Ruperto works with a bicycle wheel outside of the welding shop he operates with his brother-in-law in Legazpi, Philippines. He has worked as a welder since 1966, and the business has been running for 18 years and counting. The ability to cope is a strong characteristic of many of the seniors in the Unbound sponsorship program. Most have seen more than their share of hardship. In addition to the challenges of poverty, they’ve often lived through ethnic violence, corrupt political regimes, religious oppression, forced marriage, natural disasters, the loss of spouses and children, and assaults of various kinds. Yet most bear it with amazing serenity. The Unbound staff hopes that the current evaluation will confirm what they believe is beneficial and distinctive about the elder program, which has its own virtues apart from the sponsorship of children. Part of that beauty is the bonding that often happens between sponsor and elder, a more mature relationship than one could expect with a child. No matter how often she’s observed it, Findley still finds it moving. Findley and her colleagues know they have more to learn from sponsored elders. They’re eager for the lessons to commence.